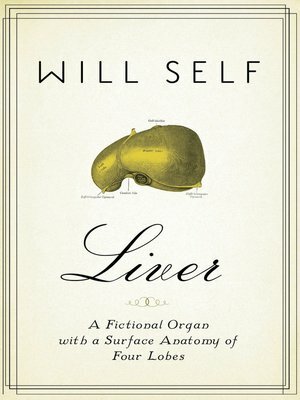 In this collection of four linked stories, newly reissued by Grove, Will Self takes aim at the disease and decay that target the largest of human organs: the liver. Set in locales as toxic as a London drinking club and mundane as a clinic in an orderly Swiss city, the stories distill the hard lives of their subjects, whether alcoholic, drug addict, or cancer patient. In "Foie Humaine," set at the Plantation Club, it's always a Tuesday afternoon in midwinter, and the shivering denizens of this dusty realm spend their days observing its proprietor as he force-feeds the barman vodka-spiked beer. Joyce Beddoes, protagonist of "Leberknödel," has terminal liver cancer and is on her way to be euthanized in Zurich when, miraculously, her disease goes into remission. In "Prometheus," a young copywriter at London's most cutting-edge ad agency has his liver nibbled by a griffon thrice daily, but he's always in the pink the following morning and ready to make that killer pitch. If blood and bile flow through liverish London, the two arteries meet in "Birdy Num Num," where career junky Billy Chobham performs little services for the customers who gather to wait for the Man, while in his blood a virus pullulates. A moving portrayal of egos, appetites, and addictions, Liver is an extraordinary achievement from one of the most talented minds working today.